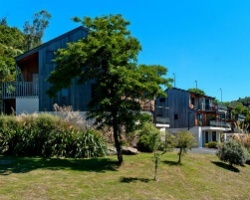 *Oreti Village* resort offers stylish apartments with private balcony, full kitchen and laundry, and views of Lake Taupo and the surrounding mountains. Boasting a stunning lakefront location on 5 acres of Lake Taupo’s southern shores, the resort features an indoor swimming pool, on-site tennis court, and children's playground. Guests can cater for themselves or dine in Oreti Restaurant, which specializes in local cuisine and has an extensive wine list. 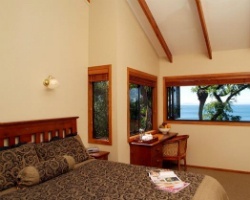 Guests can enjoy the Tongariro National Park which is a 30-minute drive from the resort as well as explore the local shops and restaurants of Turangi town center. Come explore New Zealand during any week you choose! Great location with beautiful lake views!